Saint Bartholomew's Primary School (1834-1973). When the village outgrew the premises, the new St Bartholomew's school was built in 1973 off Warwick Avenue. 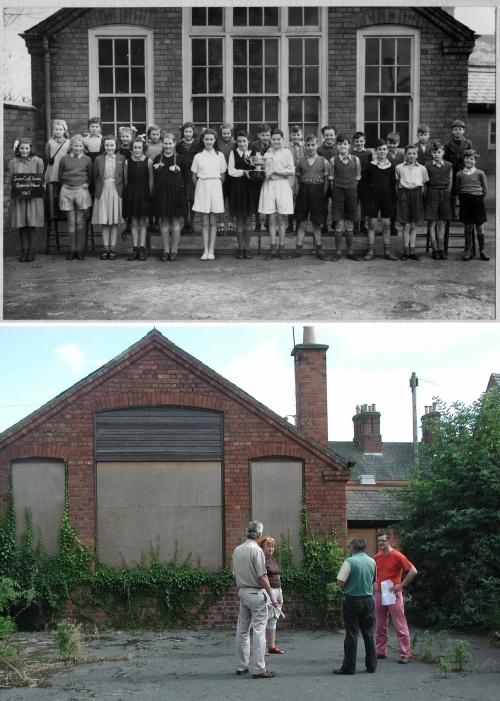 Since then the old buildings were used by various organisations including a dance school, a play school and as an annexe for examinations by Rawlins. It finally closed in 2007. The image below shows members of the community in 2008 discussing the feasibility of securing the old school for community use. Print: View artefact in printer-friendly page or just on its own.